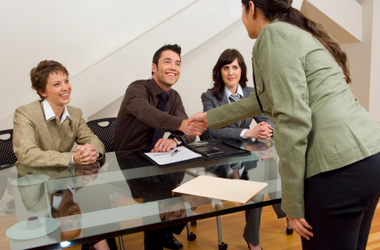 Everyone can tackle any interview and can get ahead with their desired work.. Certainly, have realized and faced the same situation, but hey! Everything doesn’t always go perfectly as we have visualized, and obviously, it takes a genuine effort. When turning up for my first interview, and I am sure that everybody has passed through this in their lifetime and have known about the areas and environment on which basic interview questions rely upon and what while conducting an interview, an interviewer seeks out in an interviewee? As everyone has their first time, facing interview for their jobs and having their first experience is something which evaluates our performances for the next level or for taking up bigger opportunities. But at the present time of the tech world and enormous interventions in the way an interview being taken or conducted keeping in mind, the related procedures. As we all know, the traditional method of taking interviews is regarded less in today’s time and overall it is considered that a candidate should be well equipped with knowledge regarding every area in order, for an interviewer to select a versatile candidate. Why Getting To Know Each Other’s Thoughts Becomes Important? It becomes really important, taking in mind the interview perspective, to get to know the interviewer and the candidate’s viewpoints on a clear basis regarding the company, it’s environment, working policies, and procedures, working styles, etc., so that it could give a mere glimpse of each other, while the interview is going on. Though there are many people with different attitudes, different etiquettes, and personalities, and usually one has his/her way of facing an interview and preparing for it. The interviewers having their typical selection criteria for the desirable candidate and of course, not everybody goes like a perfect fit, as it’s like one thing or another which remains unfulfilled, even though every candidate makes a way out to handle and answer every question diligently and suiting the situation. What Pieces Of Advice Always Works? We all have gone through interviews and maybe there are more to give in possible future to enhance and get on every road towards our career stream. So there will be many ways or approaches or advises, our interviewers would have communicated with us, to make us know, where we were going wrong? Or to tackle a tricky question or answer pressure question or even on our way of communication/presentation. (Talking about some nice interviewers, not everyone at large). About some things getting an advice is really essential as it opens up the gates to know ourselves on a personal as well as professional level. One of the advice, that is applicable in all the sense, is saying truth about everything, work and yourself (this also includes over-exaggerating) as this would set you free from every irrelevant and fake story you would think of or come up with your thought that would be suitable, according, to the environment and person taking your interview. Secondly, I would like to add another advice, that helped me a lot to improve my way of speech and talk and helped to make a necessary and up to a level brief and precise synopsis of whatever information is to be needed from one, as going in detail would take time and energy to get acquainted with necessary information. Moreover, say everything with confidence, as not faking its would absolutely increase your confidence. Let’s Begin with Preparing For An Interview! When it comes to preparing yourself for an interview, so at an initial level what a normal person do? He/she would inquire about the job environment and company, company related stakeholders and all the necessary information a candidate needs to know, in order to secure his/her maximum chances of getting selected. Other than that, it’s very important that a person before going for an interview should practice generously how to deliver his/her words, in fact your confidence reaches the next level if you’ve been able to describe yourself and your skills which could make the employer assure that you would be the right choice for this job and and and! In the most precise manner and with correctly chosen words, so that an employer could get an overall good impression of you. Practice that how you’ll express your views in a straightforward manner (unless needed a diplomatic answer) so that it indicates to the employer that you strongly rely on your work ethics. There are no such rituals or techniques that I follow, just remember one thing, be confident about yourself as this is a necessary phase of your life and one has to go through this, in order to build your identity and could acquire the destined fame. What Possible Questions Might Help Later? While preparing for the interview, we all think, in fact over think about the possible questions that could be asked by an employer. On a fair note, it could be about anything in the most circumstances, tricky questions can be asked in a direct or probably in an indirect way to know the mindset of a candidate or sort of situational or even questions not related to work, just to know or test their candidate’s sense of humor. In my case, the question was asked, why I want to do a job? I knew and said the answer, but the interviewer didn’t look that satisfied, so a few minutes later, I gave an answer, regarding what I actually want from myself, There! The employer started clapping and praised me for it. See! Here the point applies to be true to your employer as well as it’s more critical to stay true to yourself. Giving interview for the first time in life, it’s a whole new experience, and I know, from the starting of the day till the end of the interview, at least once, many of us would have got nervous. Haven made mistakes unintentionally or could have done something awkward out of anxiety. “Mistakes are made by us only, in order to improve them for the next time”. We Might Have Faced Embarrassing Moments But, It’s OKAY! My first-time experience and the embarrassing moment became, when heading for my first interview, I wasn’t able to understand the working process of the company, once explained by the manager itself. I became puzzled and felt embarrassed for the time being. I learned from the incident, solid preparation for the company and its working procedures should be done and try to know more in detail about the company by more sources. Questions Towards The Final Move! The obvious question to be asked by every candidate would be about the salary package, training which will be given to him/her after getting qualified/selected. Another question, that I ask is what a company does in order to retain employees if they’re going through problems, followed by Performance Appraisal Systems (if any). One more question arises here that if there are a customer and employee loyalty programs so that everything is retained at a secure level. So I hope, we all give out our best performance and gain valuable experiences while climbing the ladder in order to make a successful career. Remember! ‘Interview’ is only an initial step towards your career establishment, so relish every unique experience! Good Luck For Future Endeavors!